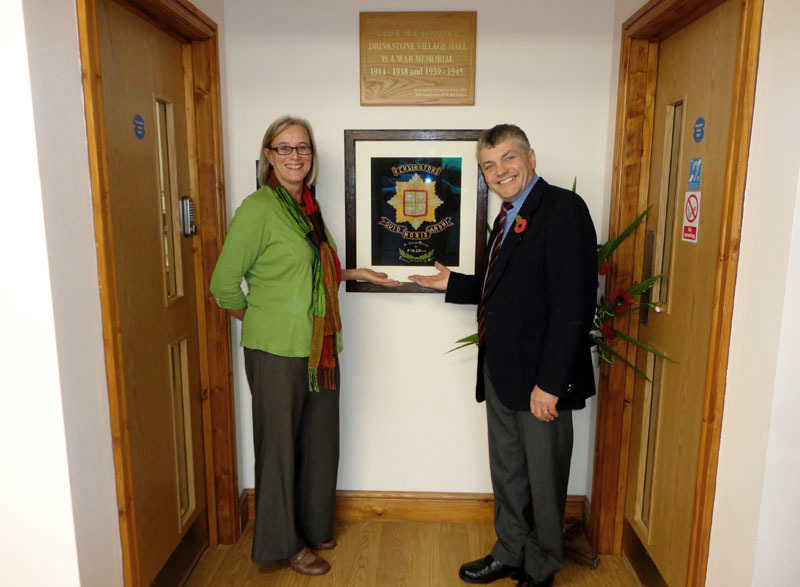 The Private Arthur Pryke memorial embroidery was a particularly poignant commission for us. Private Arthur Pryke was born in the Suffolk Village of Drinkstone and was one of 15 Drinkstone men who never returned from fighting in the First World War. His name is recorded on the war memorial in All Saints Church, Drinkstone but his family also commissioned a special commemorative embroidery which hung in the family home. 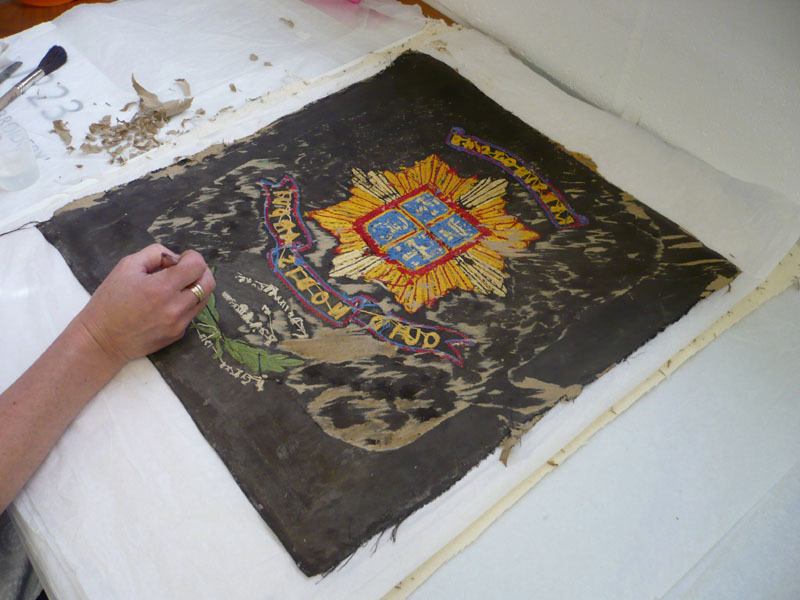 The embroidery turned up at a car boot sale in 1998 where a WWI enthusiast rescued it and held onto it until 2009 when he offered it for sale on eBay. 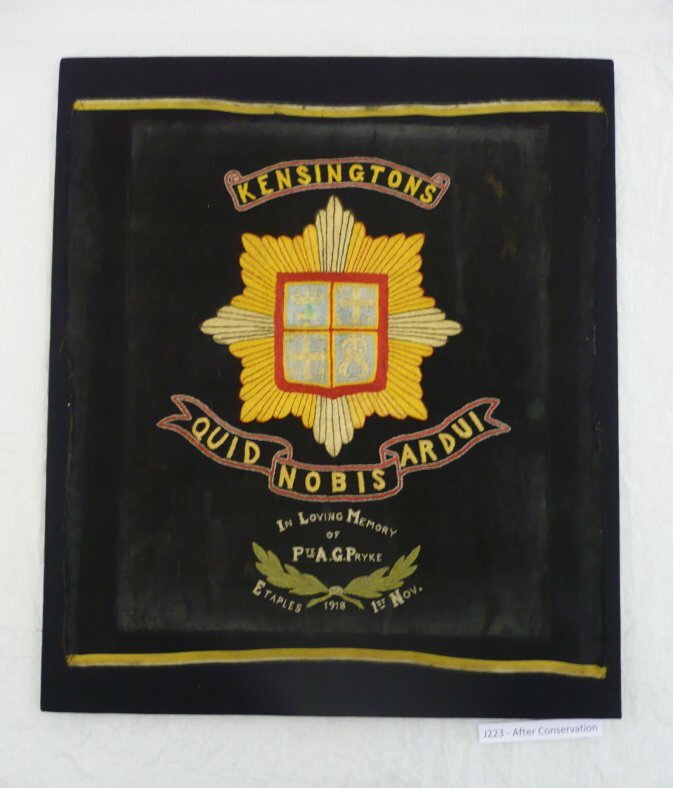 A fellow collector, and local Drinkstone man, saw the item for sale and contacted the Drinkstone History Group who were able to make a successful bid on the embroidery and return it to Drinkstone Village. 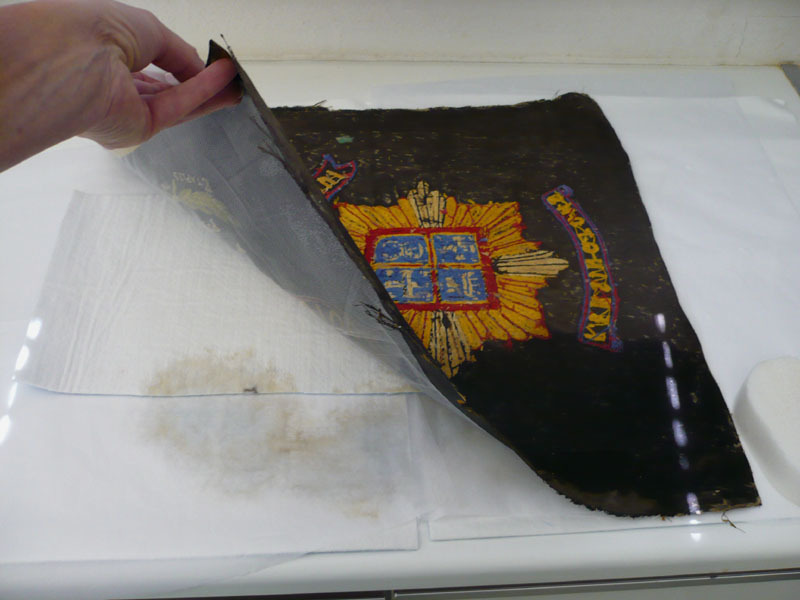 The embroidery had unfortunately been stored poorly causing extensive damage. It had an accumulation of dirt and staining, fading of the colours, and damage to the silk caused by light and the staining. The embroidery was mounted on a card backing which was also damaged. 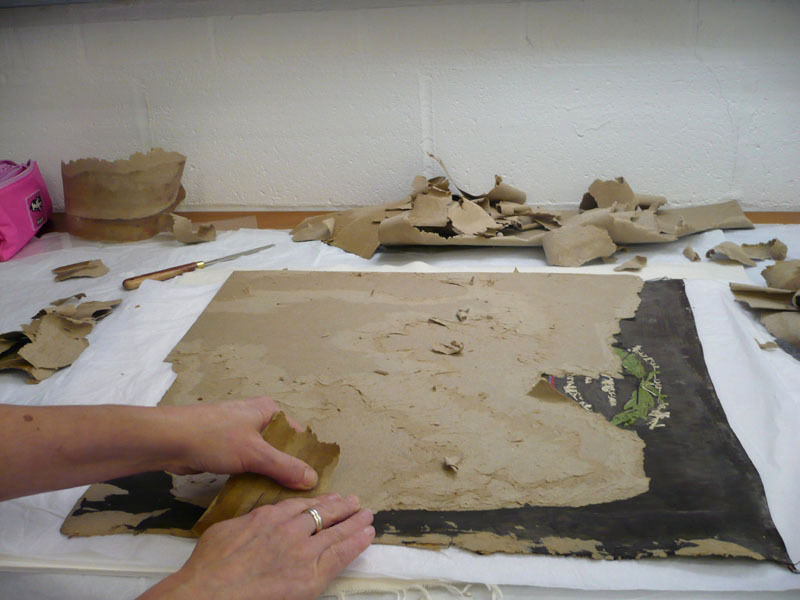 A variety of fundraising events and personal donations helped to raise the money for required conservation work. 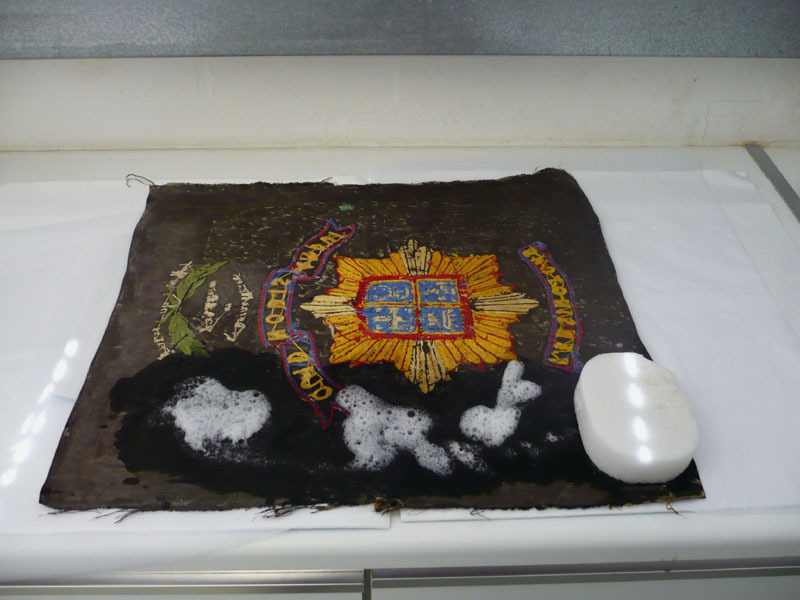 The embroidery was first surface cleaned to remove the dirt. 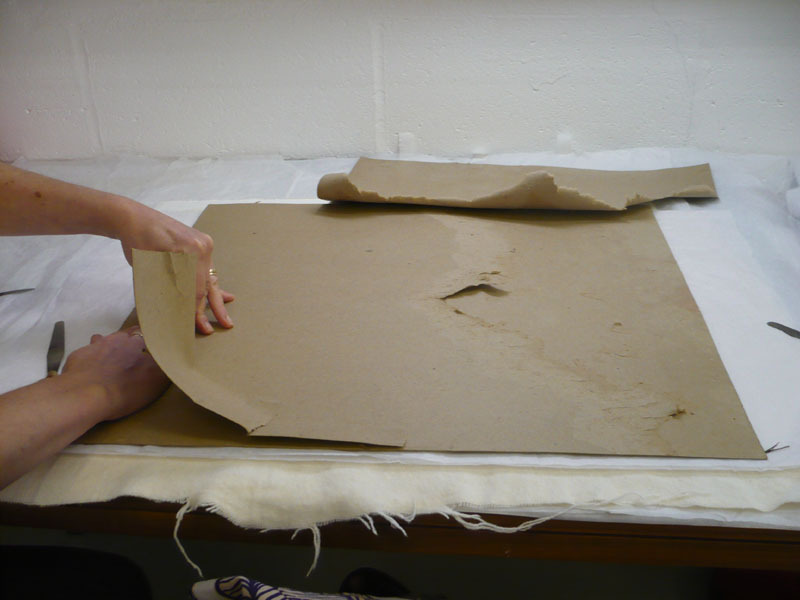 The embroidery was also gently cleaned with foam using a conservation grade detergent. 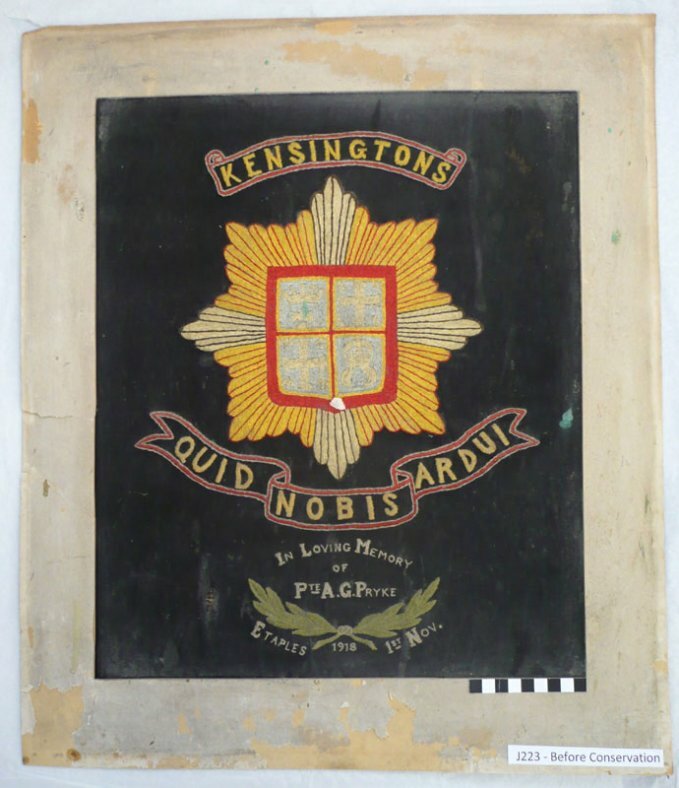 The card backing was removed to allow the embroidery to be mounted on new conservation materials in a new frame, which was made by Sudbury Picture Frames. 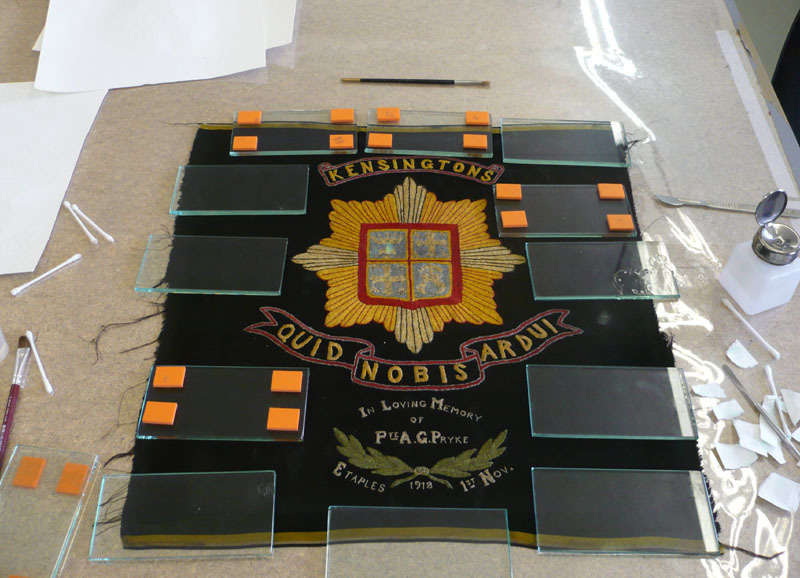 The embroidery could then be mounted and framed ready to be displayed in the Drinkstone Village Hall which has been dedicated as Drinkstone’s official war memorial. 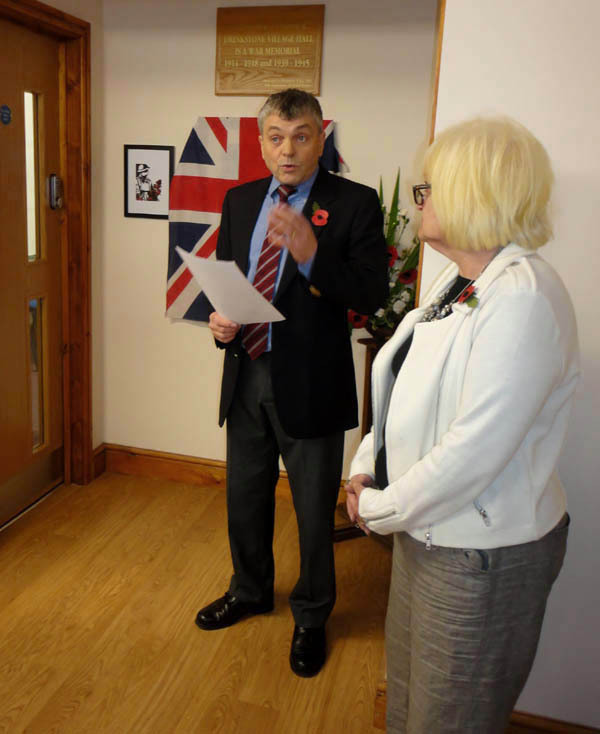 The conserved embroidery was officially unveiled at the Drinkstone Village Hall on 2nd November 2013 where it stands as a memorial to a young man’s sacrifice and a testament to the loss for his family.